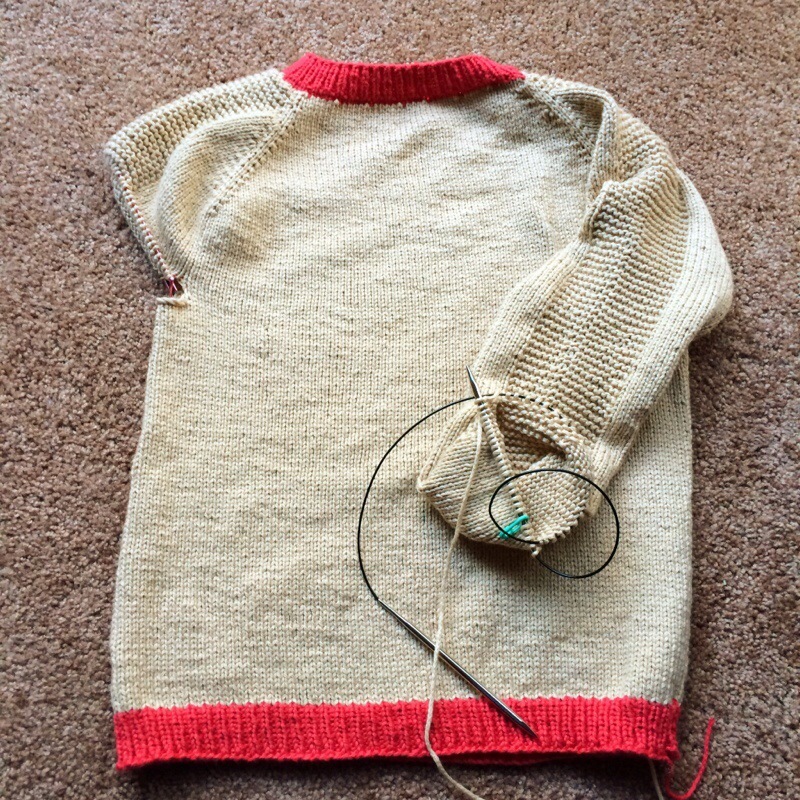 Yay my Flax sweater from Tin Can Knits is coming along well! I have the body done as well as the majority of one sleeve. 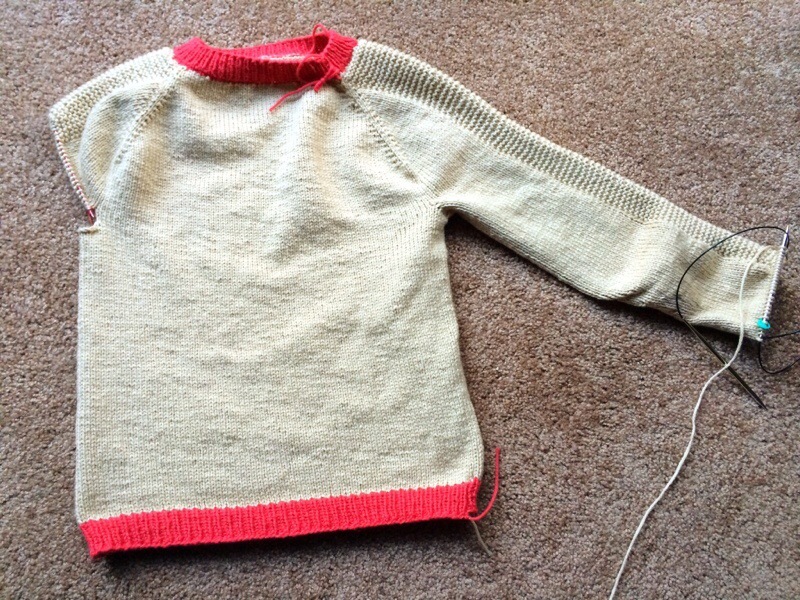 One mistake I made was not buying and extra skein of the main color (Rowan Softknit Cotton in Sand-571). I am pretty sure I will run out of yarn. 😦 This is always the worst. I just want to finish my project and stare with amazement at my work. But no! I will now have to let it sit in my work bag until my new yarn comes in via the mail. Did I mention that my LYS has every other color except the ones I am working with? Ugh… Well I guess I have to start a new project in the meantime. Any suggestions?